Introducing our Executive Team for the 2018-2019 Academic Year! Megan is a third-year international business student minoring in Spanish and is excited to be the President for the 2018-2019 academic year. Whether it is in sports or other academic activities, Megan has always enjoyed being involved in teams and is a natural leader and motivator. Her goal is to implement her knowledge and skills to aid delegates and other executive members, and to ensure that they have another successful and enjoyable year. She believes that DECA is a very beneficial extracurricular that allows you to develop many important skills, not only in business, but in any field. She is looking forward to working and learning with the Sprott DECA team. Kamie is a fourth year Commerce student with a concentration in Management. DECA has been a big part of her University experience and has really helped her to grow both personally and professionally. She is excited to be returning to the executive team as our Vice President of Operations. She values teamwork and improvement. 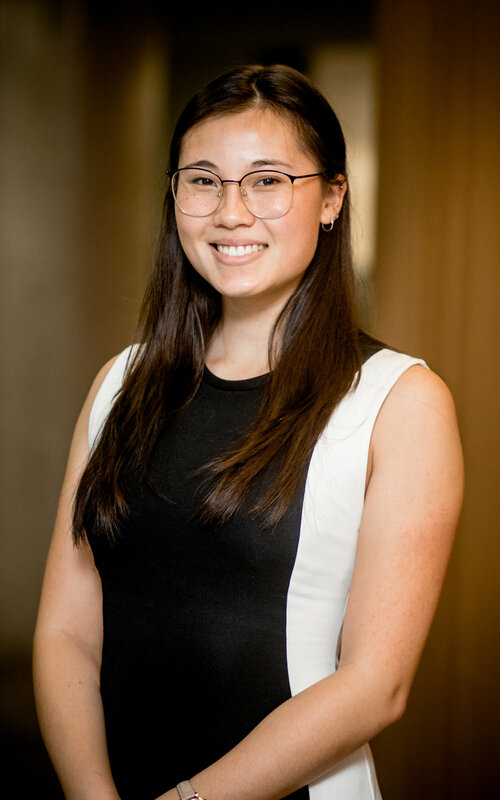 Her goal for this year is to ensure the club runs smoothly while being able to help delegates reach their goals in the upcoming case competitions. Tom Whyte is a Fourth year Commerce student with a major in finance. He is passionate about self-development, constant forward progress, and assisting others to achieve their goals. After an exciting year on the Sprott DECA executive as Conference Co-Chair he will be returning as VP Finance.His goals for the year are to provide a transparent financial status and to ensure the club operates at maximum financial health. Shyaun is a second year business student majoring in Information Systems and Finance. He loves challenging himself in different ways and is always up to learn something new. He’s excited to be serving as the VP of Marketing, where he can test his creative abilities and acquire new skills! Livia is going into her third year of commerce with concentrations in marketing and information systems. She has a passion for travelling, sports and learning new things in and outside of the classroom. Her skills include taking on challenges in an optimistic approach and encouraging participation in a team setting. She joined DECA in her first year in an effort to be an active participant in the Sprott community and to develop business skills. As a chapter member, DECA was so much more than an academic club, content learned is transferable to any field and having the opportunity to branch out through networking to meet new people! This year she is excited to execute the delivery of this year’s delegate training sessions in effort to increase competiveness of our chapter and make a memorable season! Dannick is a second year International Business student concentrating in Global Financial Management and Systems, minoring in German. He is very excited to be this year’s co-director of delegate development. 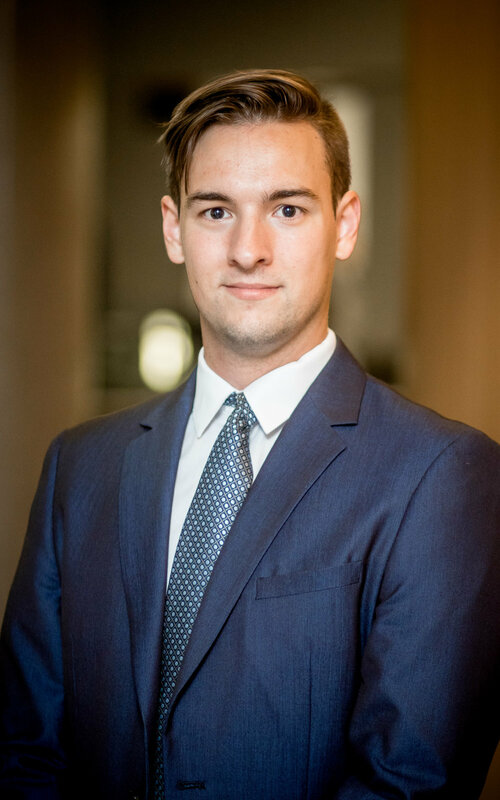 He is passionate about surpassing his limits and wishes to help his fellow delegates to achieve this goal and is excited to see the progression of all Sprott delegates throughout the year. His hope is too see all members of Sprott Deca gain analytical and outside the box thinking skills that will help them in their academical and professional lives. Finally, he wants to see the pride of the delegates that will push their limits and improve their skills throughout the year. Hi Everyone! My name is Charly Bax and I am a third year Bachelor of Commerce student with a concentration in International Business. I am super excited to be a part of the Sprott DECA executive team this year! As Co-Director of Events, I work with the team to put together super fun events for delegates throughout the year! We aim to give delegates lots of opportunity to meet new people, try new things, and get a little bit of practice in too. I’m really excited about our 4th annual invitational conference, Horizon. Our hard work and creative planning is sure to make this one of the best years yet! When I’m not studying or planning DECA events, I love to play on intramural teams like Ultimate Frisbee. Nikita is a third-year international business student studying International Marketing and Trade and is thrilled to be one of this year’s Co-Directors of Events. Nikita is looking forward to bringing her enthusiasm and drive to the team and this year’s invitational conference. She is passionate about cross-cultural communications, sustainability and digital marketing. 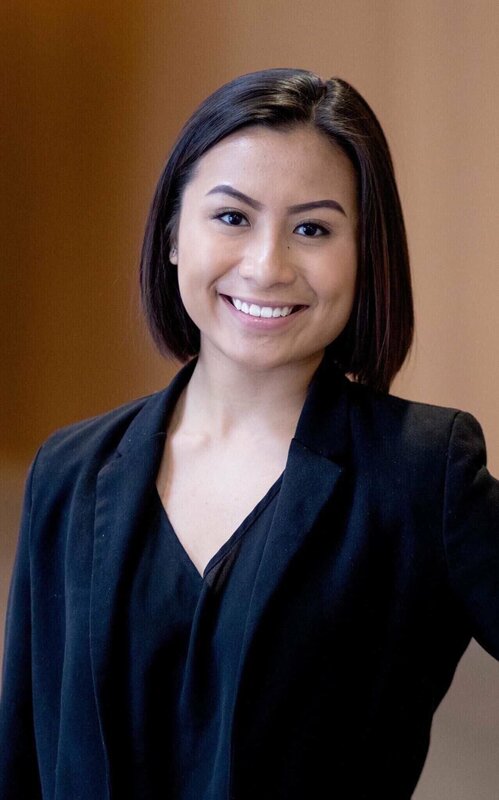 Competing in DECA in high school is ultimately what brought Nikita to study business and she looks forward to planning this year’s conference, Horizon, to help spread that passion. She is always on the hunt for new challenges and opportunities for growth and is excited for what the year has in store for the team. My name is Daniela Salcedo and I am a third year Law student with a minor in Business. I am passionate about music, traveling and politics. I will be serving as the External Advisor for this academic year. I am here to assist with the executives’ general duties, but working more closely with directors of delegate development and conferences. I strongly believe that my experience as a Director of Delegate Development will help ensure our overall success. Now entering my third year in this chapter, I am thrilled to create memories with new and returning delegates. Considering our team’s significant success last year, I then look forward to establish bigger history at invitational conferences, including Provincials 2019. With that said, I am extremely excited to take on this brand new role! Matt is a third year Bachelor of Commerce student concentrating in International Business. He moved to Ottawa from Middleton, Nova Scotia to pursue his undergraduate degree. This year, he is very excited to take on the role as Co-Director of Corporate Relations. Matt will bring a friendly and inclusive environment to the Sprott DECA team. His passion for commerce and utilizing his business network makes him a great fit for his role on the executive team. When he is not attending classes or studying in the business student lounge, he can be found refereeing hockey in rinks all over eastern Ontario and meeting friends for breakfast at Ollies. Luke is a fourth year Bachelor of Commerce student concentrating in entrepreneurship. He is excited to be part of the DECA executive team and hopes to bring the experiences he has in both professional and personal life to help DECA achieve its fundraising goals this year. Luke enjoys working on a team and is passionate about exploring roles that challenge him. Luke believes that for an organization to function well it needs to have the type of leaders today that think of what the future has to offer. 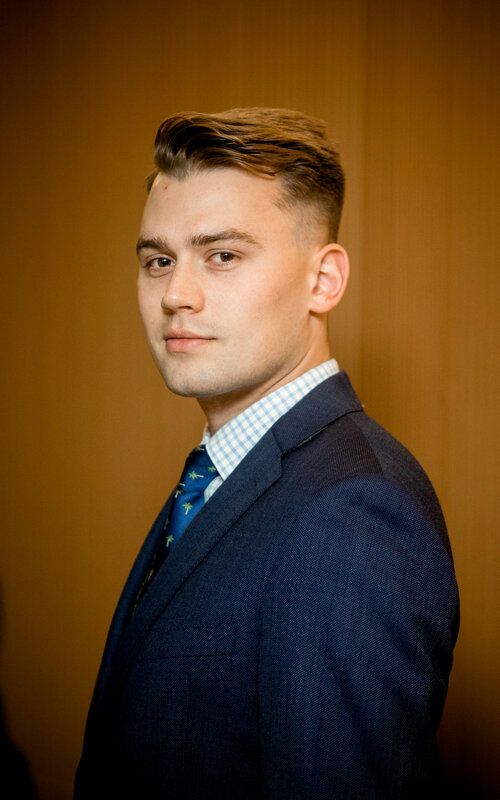 As Co-Director of Corporate Relations, Luke hopes to hand his successors an organization that not only survives, but thrives, and is a continuing platform for Sprott students to challenge and express themselves. 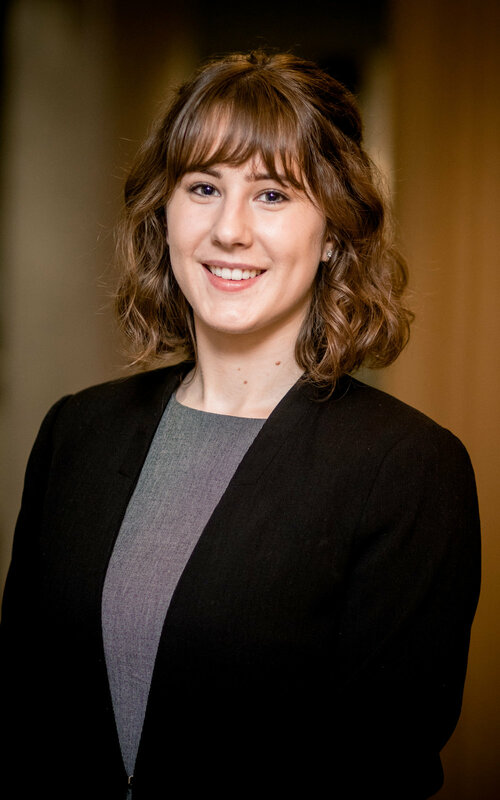 Erika is a first-year International Business student minoring in German and connects with new members as the First-Year Representative. Erika is honoured to be the first person to ever hold this position and she is excited to make the role invaluable! 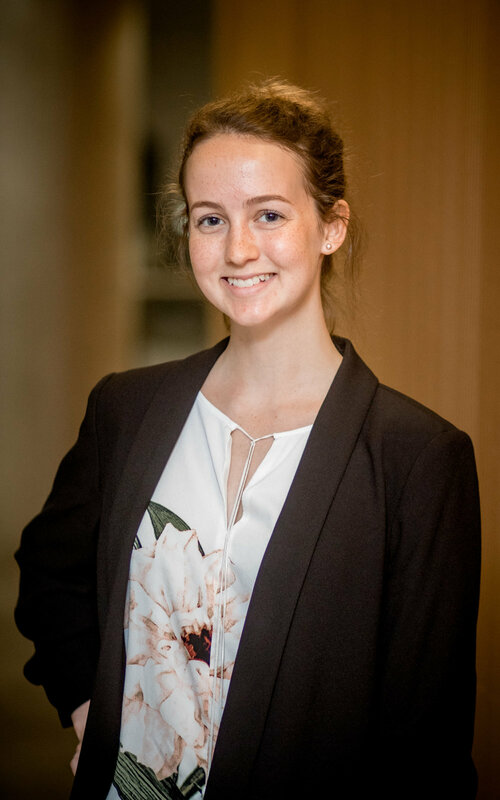 Her enthusiasm for learning, self-improvement, and networking inspires peers to get involved and take advantage of the opportunities Sprott DECA has to offer. Erika believes that mutually learning from each other's experiences creates a greater future for everyone, and encourages this coopertition through her relations with delegates. Erika is grateful to work with various members of the executive team to make a long-lasting impression that inspires leaders of good and impactful futures.